There is something going on in the Amigaworld and that’s a very active Apollo Team. 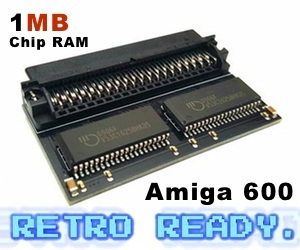 They communicate with the Amiga community a lot and they have increased the updating cycles for the 68080 FPGA chip that sits on their Vampire V2 FPGS accelerators. But what about the nextgen Amiga platform? Where is it going? They aren’t helping the Amiga Future a bit anymore. So, instead of giving AmigaOS 4 users the needed development. Hyperion just do other things to make the time go on? And on top of that Hyperion released a Kickstart 3.1 update which has nothing to do with AmigaOS 4? Is this company made out of bunch of people that just doesn’t care about the users they have made their main product for? There aren’t many AmigaOS 4 users, but the way Hyperion is treating it’s users is really not the way to do it. These Amigan’s which loves nextgen Amiga and have bought AmigaOS 4 PowerPC hardware should really get something in return for the price that they have paid for getting AmigaOS 4 or is it so that these Amiga users aren’t worth it? On the blue side of Amiga nextgen community, MorphOS 3.10 by MorphOS Team is another Amiga halting thing. These guys seems to only do something if the AmigaOS 4 is getting updates and thats not often. On 19th of June 2015 MorphOS Team released MorphOS 3.9. Since then it’s taken time for the next update which isn’t out for the public yet. MorphOS Team members reveals that its soon out many times. But! It is now March 2018 and still no MorphOS 3.10 release. I know that MorphOS Team is developing MorphOS 3.10 a lot these days and that they had big plans for releasing MorphOS 3.10 before or at Amiga32 in Neuss, Germany. But nothing have been released until now from the team except for MorphOS SDK 3.10. The situation for MorphOS users versus AmigaOS 4 users is that most of those using a MorphOS PowerPC compatible machine is using way more cheaper Apple PowerPC hardware. So there is less complaints, but MorphOS 3.10 is going to be released for AmigaONE X5000. But where is it? There is also almost no communication with the community also? This is not the way to make people interested in our platform I think. The AmigaONE X5000 costs way too much for what Hyperion is giving back to the users we thing. The same can be said about the AmigaONE X1000 PowerPC beast. A-EON announced A1222 Tabor for over two years now, which is going to allow people to buy a much cheaper AmigaOS 4 motherboard. At the AmigaTec BBQ party in the summer of 2016, Amitopia spoke to MorphOS Team members and Frank said that A1222 Tabor will never be supported by MorphOS because of the PowerPC cpu that is a very odd one (without FPU etc), and that A1222 Tabor hardware will never go into production. Trevor Dickinson then told Amitopia in February 2017 that the goal was to release the A1222 Tabor at Amiga32 in the end of October 2017. Now we are in March 2018 and A1222 Tabor is still not released. At a price of €400, the A1222 Tabor should be out, but there is someone or something just not moving the nextgen Amiga platform in the right direction. What is going on at Hyperion Entertainment, A-EON and even MorphOS Team? AROS developers also sleeps for the moment. Where is the energy? Look at what Apollo Team is doing. They are getting things out. They are communicating with the Amiga community on their site thru their Forum, IRC channel, Telegram group or even Facebook group. Some AROS developers have even jumped over to 68080 FPGA development even. AmigaOS 4, MorphOS and AROS lives on because of their developers and users. The community is doing something all the time. Watching Aminet, OS4Depot or even MorphOS Storage getting new updates often. But why is there so little talk between the nextgen AmigaOS developers (AmigaOS 4 and MorphOS especially!) and the Amiga community itself? What if more people became beta testers? How about more people knew about how to help with the nextgen AmigaOS development? How if these nextgen AmigaOS teams started to communicate with the Amiga community? Apollo Team seems to be the only team moving the Amiga forward and actually get x-Amigans back to their classic Amiga’s. 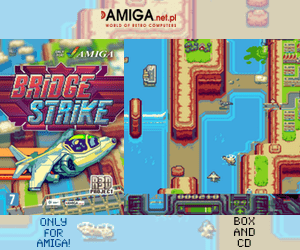 Their energy and will to do something positive for the Amiga community is amazing. Together with the AmigaOS developers that supports all of the AmigaOS flavors. They do a big difference together. Why is the PowerPC nextgen AmigaOS updating cycles so rare? Together with AmigaOS 3.x, these nextgen AmigaOS systems are vital for the Amiga future. The Amiga community needs all of your effort. But Hyperion Entertainment, A-EON and MorphOS Team is halting the Amiga Future. I really wish for more AmigaOS 4, MorphOS and AROS love from the main Developers and Owners. So now that your statement is clearly false, will you correct it? The comment stays. I don’t edit articles after they’ve been written. I also think the same now even when MorphOS 3.10 is released. If the updating cycle is improved I might to a follow up article etc. By not communicating with the community MorphOS is going the same path as AmigaOS 4 or even AROS. This article is to encourage these developers which does a fantastic job to love their product even more. Or else it will all stay underground forever. But they clearly want new users. So silence is golden is not the way to do it then.